- Gave medal to St. Catherine Laboure. - Patroness of all who ask for Her Grace. 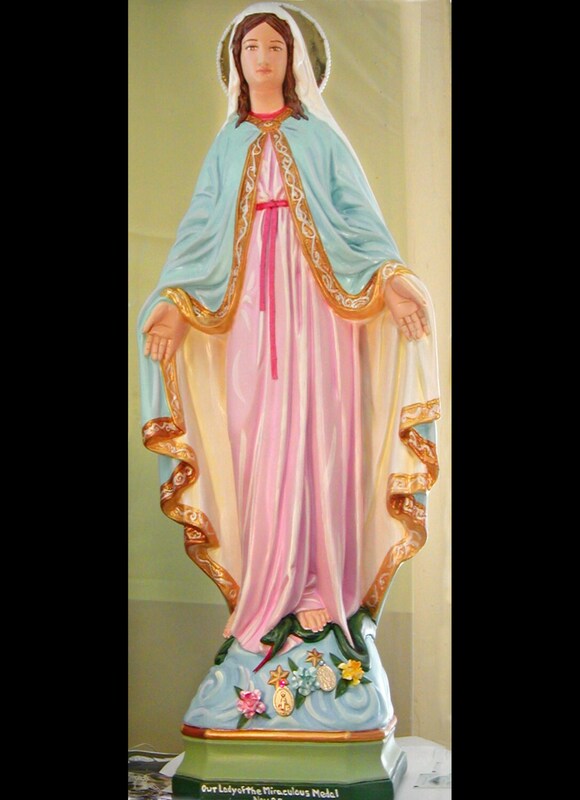 This attractive statue features a life-like hand painted face and details such as fingernails and eyelashes, cloth sash, cloth flowers at feet, with miraculous medals (showing each side) at feet and golden halo. All our statues are handmade in the USA and made to order. Please allow 6-9 weeks for us to make and ship your beautiful statue. 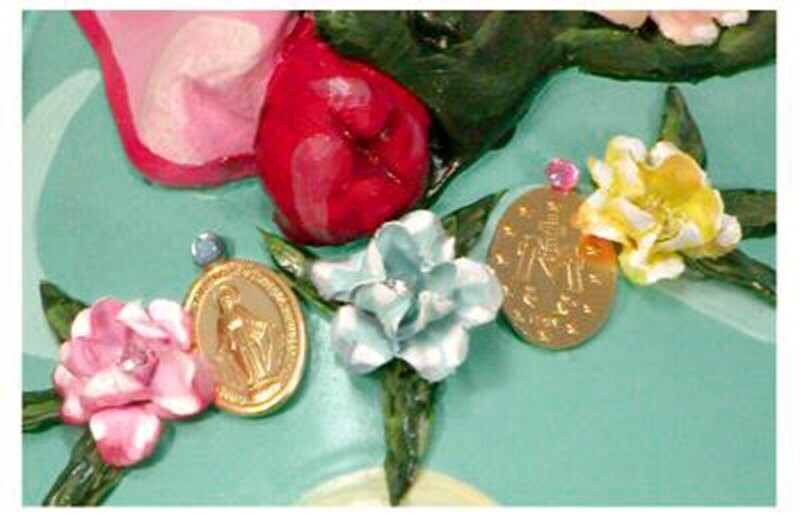 We will also touch a 1st class relic of St. Catherine Laboure to your statue.